Adding Structures to Raster DEM using ArcGIS Desktop? I am trying to simulate Natural flood management in a river catchment, particularly the role of log jams/LWD in the channel. I have created polylines where I want to put my log structures and given them a value field, in meters. I then buffered these polylines and converted them to raster. What I want to do is add these log jam rasters into the DEM, so they simulate structures in the channel. I have read around the best way to do this and have found two possible methods, but I am unsure if they have worked. My issue with this is that the DEM ranges from 5m to 238m, so I am wondering whether the mosaic tool changes a value from, for example 138m, to 1.5m, instead of adding this on. Or am I overthinking it? This layer now has a very low minimum value, and I am wondering if the same concerns as the Mosaic to new Raster are happening. Not the answer you're looking for? Browse other questions tagged arcgis-desktop arcgis-10.0 spatial-analyst or ask your own question. 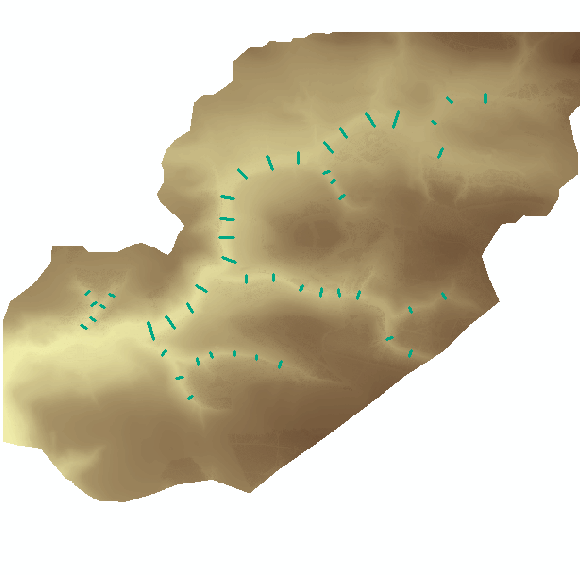 Determining raster intersection using ArcGIS for Desktop? Adding line data to raster in ArcGIS for Desktop? Smoothing raster using ArcGIS Desktop?